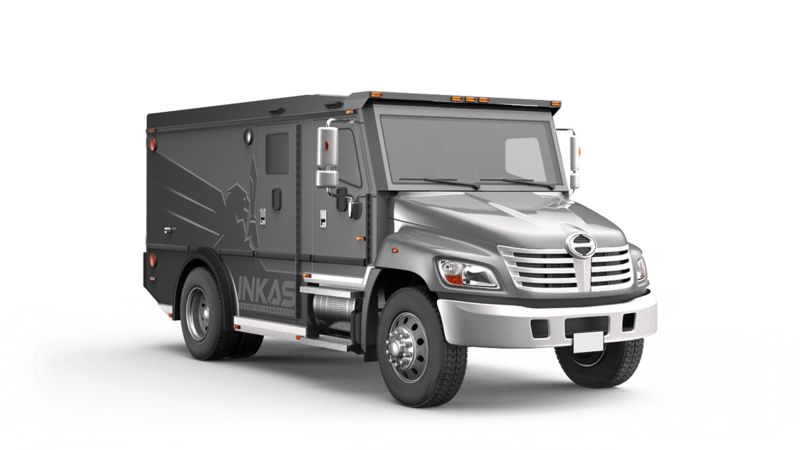 These cash in transit vehicles are meticulously engineered to securely transport high value items at substantially large payload capacities and across a variety of terrains with ease. 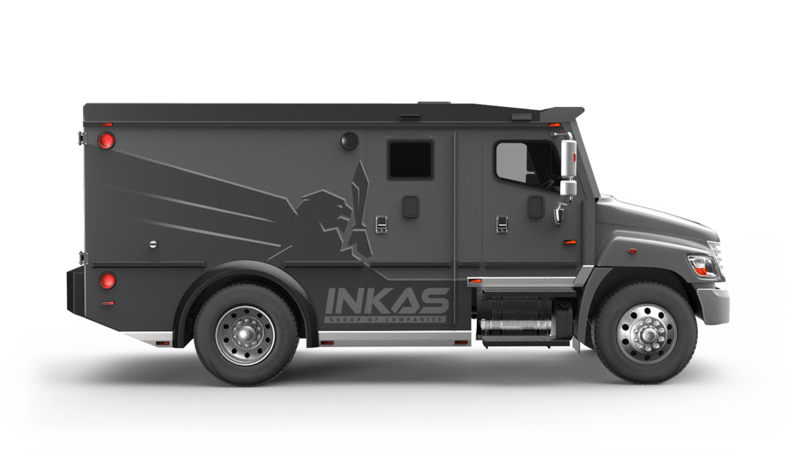 This armored cash in transit truck is perfectly suited for hauling large payloads and up to a 5 person crew. There is more than enough power to do all that with 260 horsepower and 8L diesel engine mated to a 6-speed automatic transmission. Among its security features are a smart locking system specifically designed for cash in transit usage as well as video surveillance of both internal and external viewpoints. The cabin is completely protected with 360-degree perimeter protection including an overlap system designed to stop bullets from penetrating through the door seams. 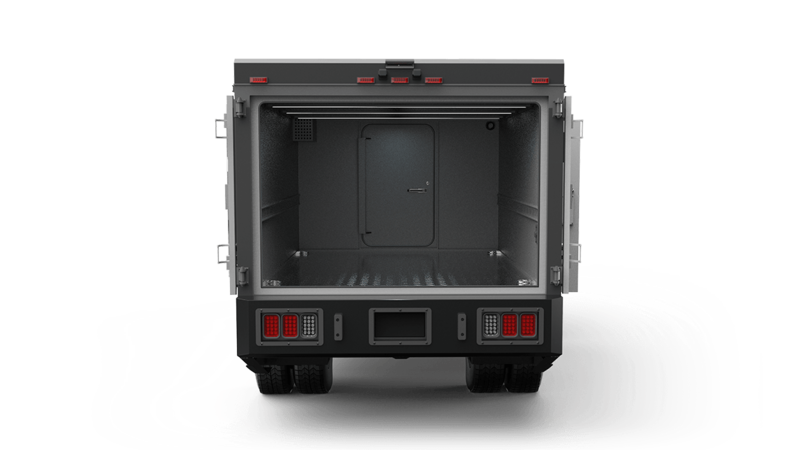 The payload area is completely configurable to conform to any client’s specifications. 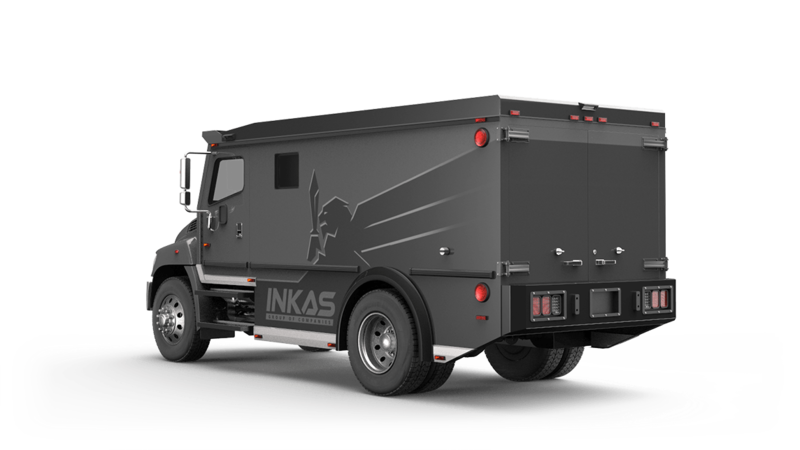 The armored cash in transit truck based on the Hino 338 is a fortress on wheels and will more than satisfy the requirements of any bank or large asset transport agency. 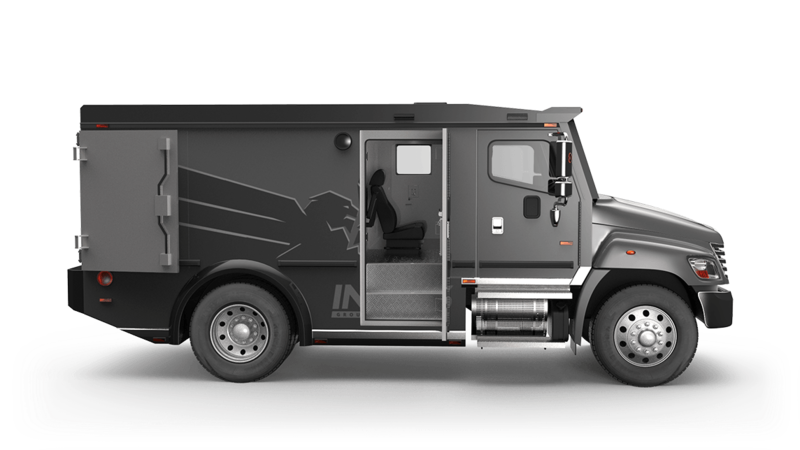 Meticulously engineered to securlely transport high value items at substantially large payload capacities and across a variety of terrains with ease.